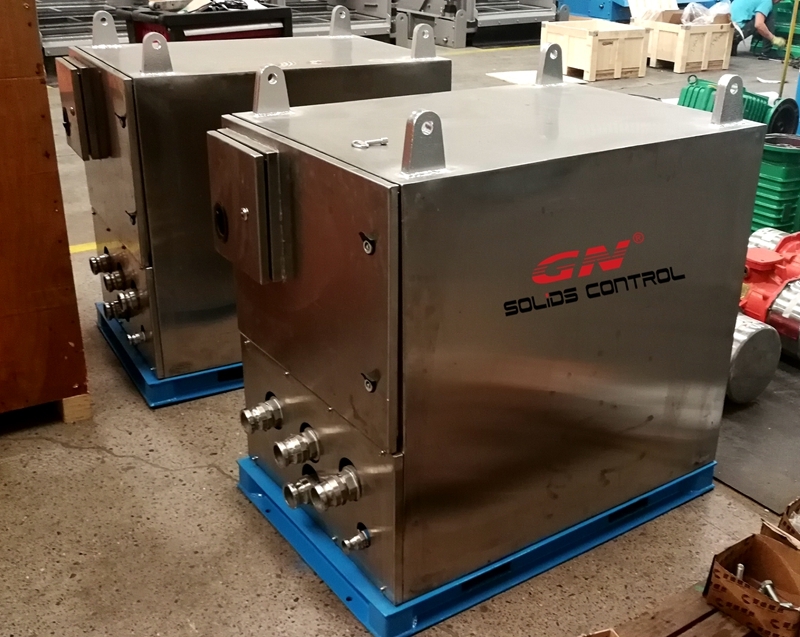 This week we shipped several units of linear motion shale shaker and high speed decanter centrifuge shipped to Russia client for their drilling rig solids control system. The grey color is as per client’s requirement, all these equipments can be operated in low temperature area. Shale shaker, mud cleaner and decanter centrifuge, degasser is the most important solids control system for a rig solids control system. The client will buy a mud tank system with mud agitator, mud gun, pipelines locally for convenient shipment, and install GN equipments on it. 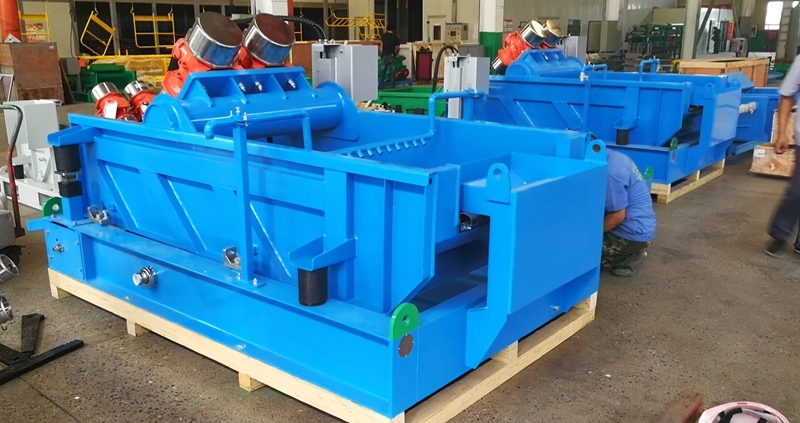 This is not the first order of shale shaker, mud cleaner, decanter centrifuge for Russia client, we sold many sets of such equipments to Russia every month. 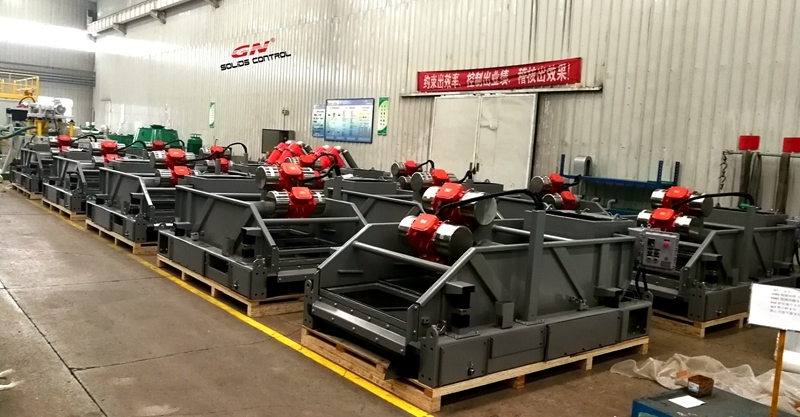 We also produce the OEM shaker screens for the shale shaker, mud cleaner with composite material frame for longer working life and better storage. Also we produce replacement shaker screens for world famous brand shale shaker, like Derrick, Swaco Mongoose, Brandt Cobra, VSM300, FSI, etc. All of the screens produced by GN is composite material shaker screens, the working life is much longer than the traditional steel frame screens. High speed Decanter centrifuge GNLW363 is one of our most popular model among GN equipments to remove fine solids, we also have middle speed decanter centrifuge to recover barite. The VFD decanter centrifuge can be used for solids control system, drilling waste management system, oil sludge separation system, waste water treatment, dewatering unit. 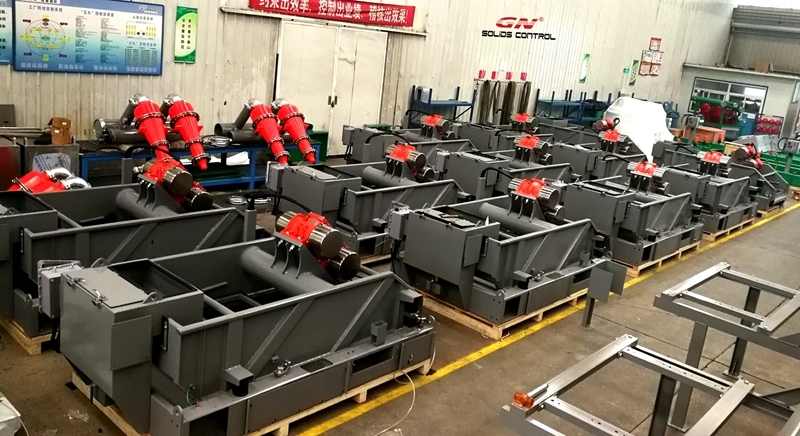 As a professional drilling fluids shale shaker manufacturer in China, GN solids control developed offshore ViST vacuum shale shaker and shipped to offshore project this week. Why use GN ViST vacuum shale shaker? The user already installed solids control system at site, why they should use GN ViST vacuum shale shaker? GN ViST vacuum shale shaker is GN shale shaker with a vacuum suction hopper installed under the last shaker screen. 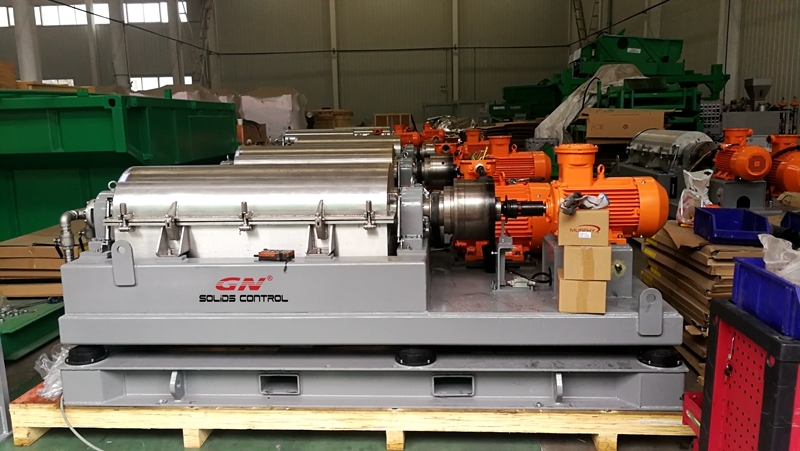 It has a combination function of solids control shale shaker and high G drying shaker, and save the space to install the high G drying shaker, especially for the offshore drilling rig when there is no enough room to install drilling waste management equipments, The ViST vacuum unit solved the problem. By using GN ViST vacuum unit, the drilling fluids recycling efficiency will be increased by 30~ 50%, it reduced a lot the discharged drilling cuttings, then reduce the cost to transport, treat and disposal the drilling waste. It reduce the hazardous drilling waste influence to environment, and do not waste electricity power at site, it can use the same air compressor with rig.